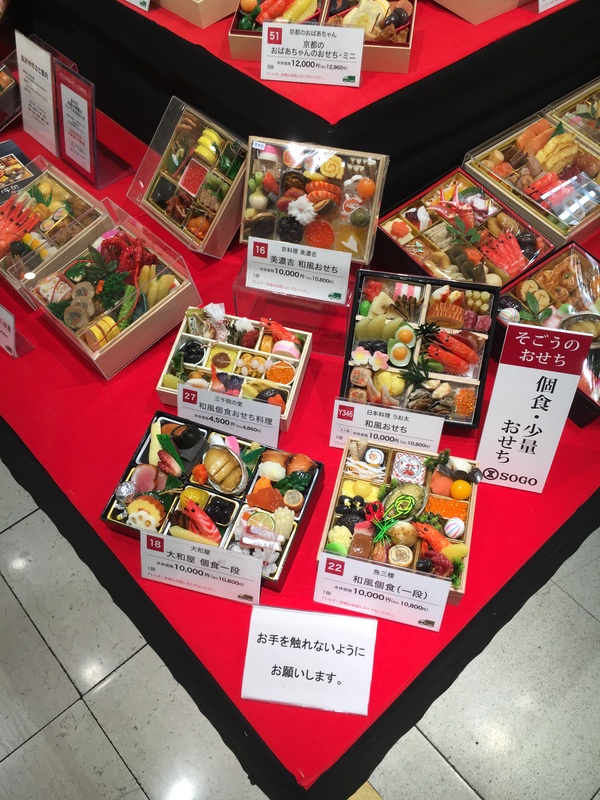 Osechi ryouri are traditional New Year foods in Japan, that have been around since the Heian period. Every dish has a meaning, such as ebi (prawns) as a symbol for long life, kuro-mame (black beans) for health or konbu (seaweed) for joy. Making all those different dishes by yourself takes a lot of time and it might be also because of it, that a traditional food for New Year’s Eve are toshi koshi soba (年越し蕎麦 literally “year crossing soba”). While the long noodles are thought to symbolize a long life, they are also a very simple dish, that the busy housewife can whip up while hustling to prepare the osechi ryouri. Because of the time-consuming preparations, all the department stores and even the konbini offer ready-made versions for every liking. 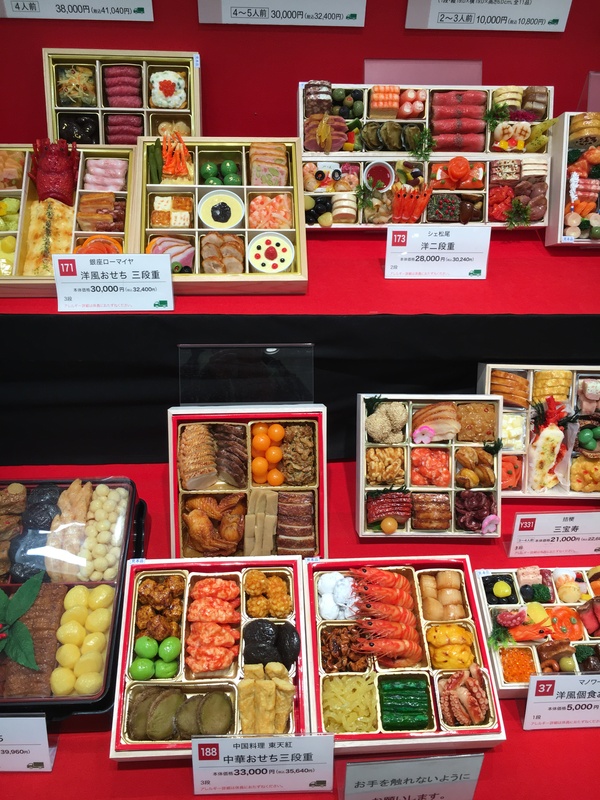 Next to the traditional japanese style osechi you can see in the pictures above, chinese style osechi and western style osechi have surfaced in recent years.